As more and more people decide to cut the cord and simply go online for everything they need, services like Sling TV are essential to get all the cable goodness without actually paying for cable. Sling TV has been around since 2015 and it was one of the first multichannel live TV services in the world. This over-the-top Internet television service is owned by Dish Network, a US TV provider. Nowadays, there are a few similar services, but since this one set the trend, we’re starting with it. There are multiple packages you can pick from, depending on what channels you’d like to watch, but the service is altogether quite customizable. Here are some of the aspects we’ve taken into consideration for our review, which you’ll also find detailed below. 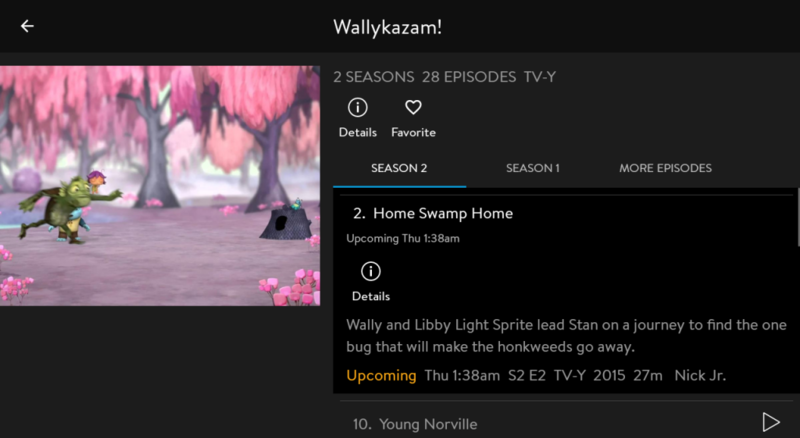 Sling TV is only available in the United States, but if you come from a different side of the world, it can certainly be customized to include some extra international channels. These are bundled up in several categories – Arabic, Brazilian, French, Polish, Hindi, Punjabi, Urdu, Tamil, Kannada, Malayalam, Telugu, Bengali, Marathi, Bangla, Italian, Vietnamese, Cantonese, German, Taiwanese, and Mandarin. This is a great addition, considering so many people from all over the world come to live in the United States and would really love to be able to catch up with what’s happening back home. That being said, if you plan to travel outside the United States, you’re going to need a VPN to make it look like you’re still in the US, like ExpressVPN. Creating an account requires a US-issued card, so if you live abroad you’re unlikely to be able to make one. 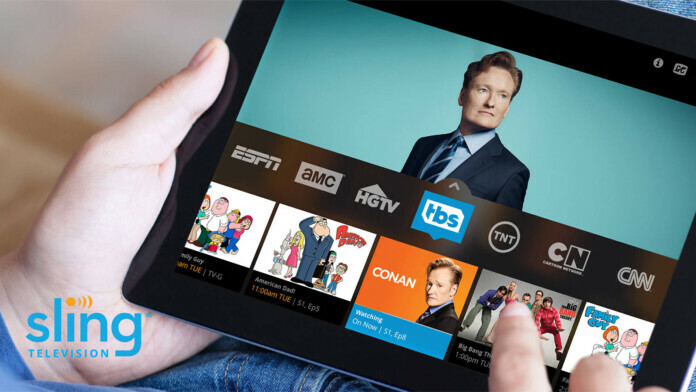 Sling TV is quite a versatile tool and you can enjoy loads of networks. The story is this – you first pick a basic starter package. Sling Orange costs $25 per month and gets you 30 channels: ESPN, ESPN 2, ESPN 3, AMC, CNN, Cheddar Big News, HGTV, Comedy Central, Cartoon Network, History Channel, Disney Channel, TNT, ACC Network Extra, Food Network, TBS, BBC America, Freeform, IFC, Epix Drive-In, Tribeca Shortlist, A&E, Viceland, Lifetime, Travel Channel, AXS TV, Fuse, Newsy, Cheddar, Bloomberg Television, MotorTrend, Investigation Discovery, and Local Now. Sling Blue costs $25 per month and gets you over 40 channels: AMC, CNN, Cheddar Big News, HGTV, Comedy Central, Cartoon Network, History Channel, TNT, Food Network, TBS, BBC America, IFC, EPIX Drive-In, Tribeca Shortlist, A&E, Viceland, Lifetime, Travel Channel, AXS TV, Fuse, Newsy, Cheddar, Bloomberg Television, Local Now, FOX, NBC, FOX RSNs, NBC RSNs, NFL Network, FX, USA, Bravo, FOX Sports 1, Fox Sports 2, NBC Sports Network, FXX, SYFY, Nick Jr, truTV, BET, Discovery, TLC, Investigation Discovery, National Geographic, and Nat Geo Wild. There’s also the option of getting Orange+ Blue for $40 per month which gets you the combined lists from above. You can also start off with one of the Latino bundles instead. 15+ Canales costs $10 per month and includes UNIVERSO, History en Español, Estrella TV, Azteca, beIN SPORTS en Español, beIN SPORTS, Cinelatino, Cine Sony, Pasiones, INTI Network, Cbeebies, Vme Kids, NTN24, BabyTV Español, El Financiero Bloomberg TV, Zee Mundo, and ¡HOLA! TV. 45+ Canales costs $30 per month and includes all the Spanish channels above, as well as the English ones from Sling Orange. 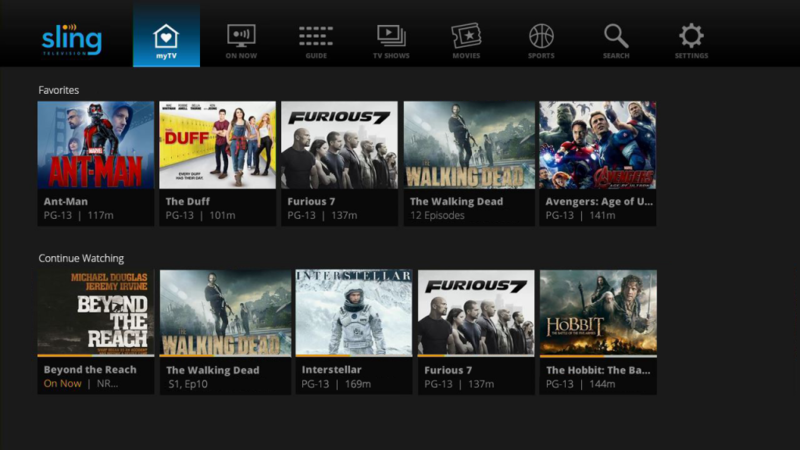 55+ Canales costs $30 per month and includes all Spanish channels mentioned above and the English ones from Sling Blue. As we’ve mentioned above, you can do quite a bit to customize the way your Sling TV package looks like by adding “extras” which will, in turn, add extra costs. Cloud DVR – You can buy 50 hours of Cloud DVR for $5 per month. Cloud DVR works with AirTV Player, Amazon, Android, Apple TV, Chromecast, iOS, LG, Roku, Samsung, Windows 10, Xbox One, and the DVR functionality isn’t available for all channels. Sports Extras – For $10 per month, you can get some extra sports channels – NFL RedZone, Golf Channel, ESPNU, SEC Network, SEC Network+, ESPNEWS, ESPN Goal Line, ESPN Bases Loaded, NBA TV, Pac-12, NHL Network, beIN SPORTS, Stadium, Outside Television, Olympic Channel, and Motorsport TV. These will certainly come in handy if you really love your sporting events. Comedy Extra – For those who love to laugh and have an extra $5 each month, this package adds MTV, Paramount Network, MTV 2, CMT, Logo, Revolt, GSN, and TV Land to the network collection. Kids Extras – Another $5 each month might get parents a few extra minutes of silence each day by adding Disney Junior, Disney XD, Nick Jr., Nicktoons, TeenNick, Boomerang, BabyTV, and duckTV to your list. News Extras – Keeping up with everything that’s happening around the world will cost you an extra $5 each month, but it will add access to MSNBC, Science Channel, CNBC, Free Speech, NewsMax, Fusion, BBC World News, TheBlaze, HLN, Weather Nation, Euronews, France 24, News18, NDTV 24×7, RT Network, and CGTN. Lifestyle Extra – For an added $5 per month you can add VH1, E!, Oxygen, Cooking Channel, DIY, FYI, Hallmark Channel, WE TV, Lifetime Movie Network, Hallmark Movies & Mysteries, Hallmark Drama, Vibrant, Z Living HD, and Afro to the mix. 4 Extras Deal – If you want to make a great deal, you can pay $10 per month and get access to all of the above – Kids Extras, Comedy Extra, News Extras, and Lifestyle Extra. Hollywood Extra – Another $5 per month will get you access to Fandor Festival, REELZ, HDNet Movies, SundanceTV, The Film Detective, CineMoi NA, and Turner Classic Movies. Heartland Extra – The last option you have to add to the mix is Heartland Extra, which costs $5 per month for World Fishing Network, Sportsman Channel, Outdoor Channel, RIDE TV, RFD-TV, American Heroes, Destination America, PixL, and The Cowboy Channel. Another thing you can add to your package is an NBA League Pass. For $29 per month, you can watch out-of-market regular season games, while an NBA Team Pass, which costs $18 per month, will get you access to content from your favorite team. Local channels are also available in some areas, but the list is rather short compared to the reach of the entire service. Sling TV will tell you which channels are available in your particular area if any. If you’re going to be quitting your contract with your cable provider, at least it has to be worth it, right? Well, we think it is with Sling TV. Let’s see. Does it support DVR? Sure. you just have to buy the package we mentioned above for $5 per month and you get to add 50 hours of recordings to the cloud. The footage you store there will not get deleted after a certain amount of time, so you can decide what stays and what goes. You can also simultaneously stream to multiple devices, although it depends on the package. For instance, you have 1 stream included with any package. If you want to push that number fo 3 with your Sling Blue package, you’ll have to pay $5/month. With Sling Orange and Sling Blue, you can stream on up to 4 devices at the same time with $20/month. Whether these people using your account live in your home or not, it doesn’t matter, but it’s a good source of splitting the costs if you want to enjoy Sling with your friends. If you’re new to cord-cutting services, you should know that Sling TV allows users to pause live streams for up to 4 seconds. Of course, for on-demand content you can also rewind or fast-forward, scanning through the footage however you want. You’ll also have to keep in mind that you’re still going to see ads when streaming live content, as well as on-demand programming. When taking into consideration multiple services that would replace your good-old cable, the streaming quality is quite important. Of course, this also depends on what quality Internet you have, but it’s also important to find out just what the network can carry. In Sling TV’s case, you should know that they do not support 4K just yet. The platform offers low-quality videos if your bandwidth is 0.8 Mb/s or below, medium quality if your bandwidth is 1.2 Mb/s, high quality if your bandwidth is 2.8 Mb/s and Best quality if you go beyond that speed. This also means that you might get a different experience if you’re on WiFi, for instance, or using mobile data. The whole point of a service like Sling TV is to free you from your home and allow you to watch your content anywhere you go, regardless of where that is. Well, Sling TV surely takes things seriously given the number of supported devices. So, you can watch your favorite channels via Apple TV, Roku, Amazon Fire TV, Chromecast, Android TV, AirTV Player, Xiaomi, LG, or Samsung Smart TVs. You can also download apps for iOS and Android smartphones and tablets, as well as Fire Tablets. XBox One gaming consoles, or straight on your computer. Well, the Sling TV interface is pretty straightforward on all devices. You can watch live programming organized by genre, check the guide in another tab, watch Sports, and so on. In the My TV tab, you’ll find those channels you’ve watched repeatedly, so it’s a sort of “favorites” list. The guide tab is the one where you’ll find all your channels, the schedule they’re working on, and all the videos you can watch on demand. There’s also a “rentals” tab where you’ll find free movies, but also movies you can rent for a few bucks. Everything in the world has a good and a bad side and while we’re well aware that these are quite subjective we’re going to tell you what we enjoyed and what we could do without as far as Sling TV goes. You can cancel anytime – cable TV contracts are notoriously difficult to get out of, with endless phone calls and loads of annoyance. Still cheaper than cable – Depending on what package you pick and what extras you want, you can raise your bill quite a bit, but it’s still going to be lower than regular cable packages. Limited customization – Since you start off with a base package, your choices are still limited and you’re likely to end up paying for channels you’re not really going to watch. Low DVR limit – The Cloud DVR feature offers only 50 hours of recordings, which you’ll likely fill up quite easily. If you think you’d enjoy the simple bundles, the extra channels they offer, or the great device support, subscribe to Sling TV. The final decision is in your hands, as you’re the only one who truly knows what you need, but we hope you’ll find Sling TV to be a viable option for you. Sling TV has clean bundles, great customization options with extra channel packs based on interests, and loads more useful features.